I've always been a little wary of horizontal black & white stripes (prison uniform, anyone?) but when I got this skirt from She Likes I realized I actually kind of like them! I guess it really depends on the item of clothing. Besides, I was in need of a good bodycon midi skirt and this one seems to fit the bill perfectly. I first heard of Superdry when David Beckham was spotted wearing the brand a number of years ago, and have always been intrigued by its streetwear sensibility. Despite being British, the brand uses a lot of Japanese lettering which gives its pieces an international vibe while remaining just a little bit vintage and a little bit grunge. 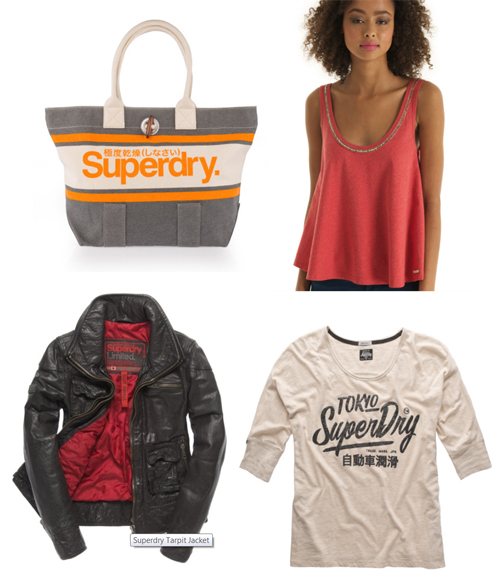 Superdry recently asked me to compile a wishlist of items from its online store and I had no problem picking out some favourites. In fact, it was really hard to narrow everything down! I particularly love the graphics on the Brighton Tote Bag and Slouch Sleeve Top, and the Luxe Sorority Top has an easy drape that will go with tons of different outfits. Superdry is also known for its jackets, and this gorgeous leather Tarpit Jacket looks like it fits well and is very on-trend. Be sure to check out their online store to find everything from outerwear to tops, bottoms, accessories, and shoes. My fellow Canadians will also be glad to know they now have a dedicated Canadian site - woohoo! Searching through my blog archives, it seems the last time I played with water decals was almost 3 years ago. This is funny to me because I think I actually prefer water decals over nail stickers... guess I've been a bit lazy in terms of my nail art these past few years! When Born Pretty Store asked me if I wanted to try out some of their products, I thought it would be a great time to re-introduce water decals to my mani routine. I ended up selecting this compass, chain, and anchor pattern ($2.86 USD for a sheet). What I love about water decals is that they're super easy to use. As you can see from the instructions on the back of the packaging, you just plunge them into water for 10-20 seconds to loosen them from the sheet before applying to your nails. 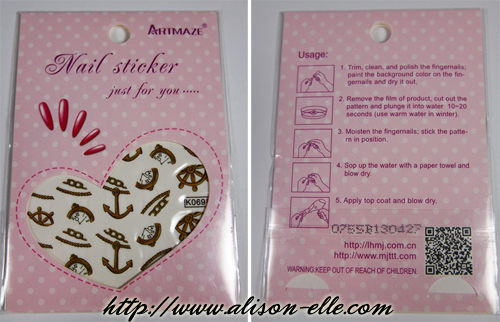 The designs are on clear bases so you can cut the decals smaller and place them in whatever design you desire. You can also layer them if you're feeling creative. 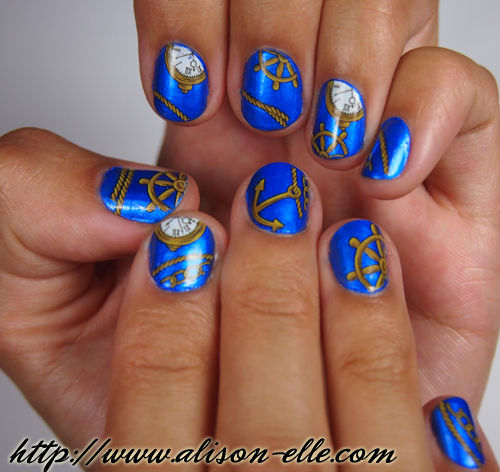 Since my nails are short, I ended up cutting the decals to fit and rearranging their orientation a bit. 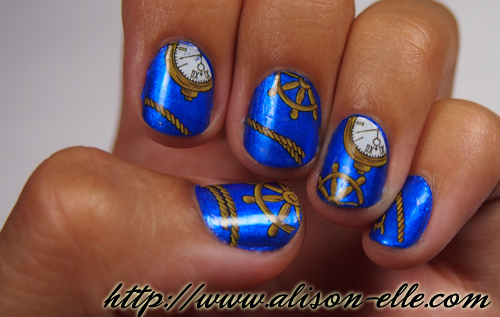 In the end I was left with these fun nautical nails. So cute, right? If you'd like to try these, or any other nail art supplies, for yourself, Born Pretty Store has kindly given me a coupon code to share. Use ASONG10 for 10% off all your purchases (an extra bargain since the water decals are all under $5 already). Plus, there's free shipping worldwide! My skin has been a little dehydrated ever since I got back from Hawaii so I was grateful for the chance to test out a new (to me) skincare brand upon my return. The brand in question is Racinne, an international cosmetics company that utilizes Korean biotechnology in all of its products. I've been using the Ultimate Hydra Perfection line, which combines callus extract from highly reﬁned grapes along with seven other active ingredients (including seaweed and gingko) to create a powerful antioxidant formula. The natural antioxidants repair skin damaged by the harsh environment, facilitates skin regeneration, hydrates, and locks in cell nutrients, providing a youthful radiant glow. 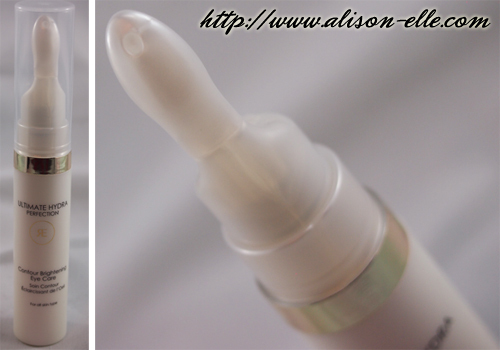 After cleansing and toning, I first apply the Essentialift Supplement Serum ($43.99 CAD). As you can see, there is a dropper that enables you to dispense just a small amount of the product without waste. The serum is not super liquid-y but still light on the skin. Next, I apply the Ultimate Defence Illuminating Cream ($39.99 CAD). The cream is on the thicker side but isn't too heavy. 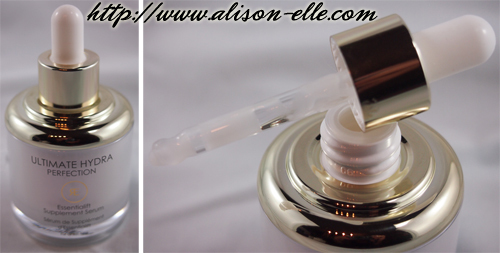 Lastly, I finish with the Contour Brightening Eye Cream ($22.99 CAD), which is more of clear gel than a cream. The applicator for this is super easy to use; I simply apply a small amount of product onto my ring finger and pat it in a C-shape around my eye socket. So far I've been really impressed with this line! Not only does it smell great, but the packaging looks luxe and feels expensive. Furthermore, none of the products have caused breakouts (always a concern when trying out new skincare) and seem to work with my oily/combination skin despite not being an "oil-free" formula. If you're on the lookout for a new skincare brand, I have nothing but good things to say about Racinne. And if Ultimate Hydra Perfection isn't your thing, there are two other lines to choose from: Ultimate Aqua Blanc and Ultimate Youth Power. Shop online here. I can't believe June is already half-over... this month has really been one of my busiest so far this year! I'm also moving into a new apartment at the end of the month, which adds a whole new level of stress to the mix. Why is furniture (a good couch, in particular) so expensive?? As for today's outfit, these amazing pants have been on heavy rotation ever since I bought them. They mesh well with the other colourblocked items in my closet (like this top and this skirt) and in true Alison form, they're neutral to boot. I know rose/flower nail art is nothing new but I was playing around with the Essie Bridal 2013 Collection recently and thought the colours would lend themselves nicely to this easy pastel rose & stripes mani. I opted for Using My Maiden Name (an iridescent violet inspired by hydrangeas) as my base colour and My Better Half (a blue-toned pink inspired by peonies) as my base rose colour. For the rose highlight colour and stripes, I used AVON Nail Art Enamel in Cupid, Styled Green for the leaves, and Kiss Nail Art Paint in Silver Glitter also for the stripes. 1. Paint on your base colour and let dry. 2. To create the roses, dab your base rose colour in roundish shapes randomly on each nail. 3. Add the rose highlight colour to the roses to create some dimension. 4. Add leaves to the side of each rose. 5. Paint on stripes if you decide to have an accent nail (or two). Lastly, finish with a top coat (I used AVON UV Gloss Guard Top Coat) to protect your work and keep your nails looking shiny. The stripes are, of course, totally optional but I thought they added a bit of whimsy. Next time, however, I'm planning on sticking with roses on all my nails for a full-on floral explosion! P.S. This nail look is also featured as my contribution to this week's FASHION Magazine Beauty Panel challenge on how to wear pastel makeup. 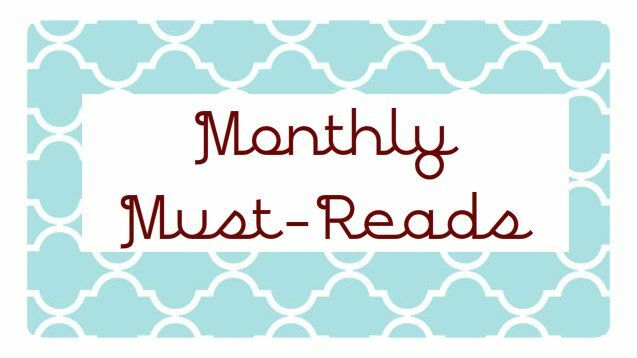 Be sure to check out the post here. 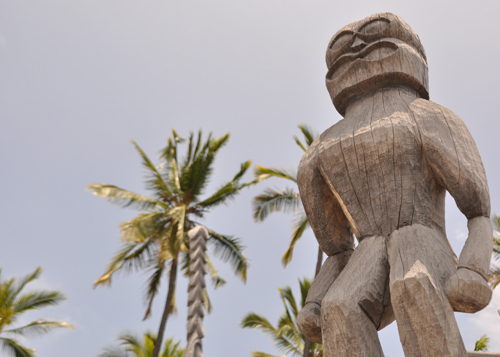 My time on the Big Island of Hawaii is starting to feel like a distant memory so I figured I'd better get this photo diary up before that actually becomes a reality. Besides, looking at these photos brings back some very happy memories! Each day of our vacation was an adventure as there was always something different to see and do. 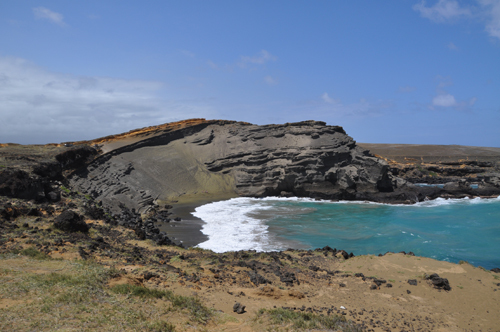 For example, our trip to the Green Sands Beach (one of only two in the world). 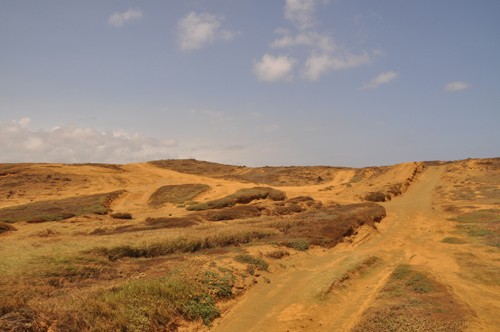 The hike/walk to get there took us across some interesting terrain that looked a bit like Mars... or what I imagine Mars to look like anyway. Once we arrived, we had to climb down the rock side to get to the beach. See that green patch in the centre of the bay? That's where it was! 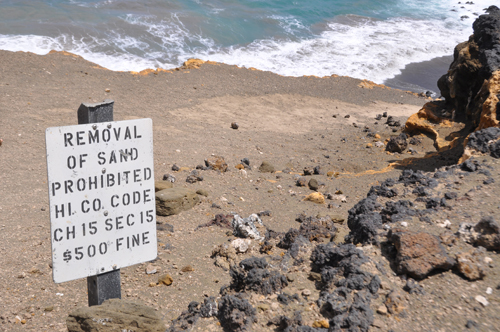 In the same area, we visited South Point, aptly named because it's the southern most point in the United States. Of course, Hawaii also has the typical white sand beaches where we spent a lot of time lounging and swimming in the bright blue waters. 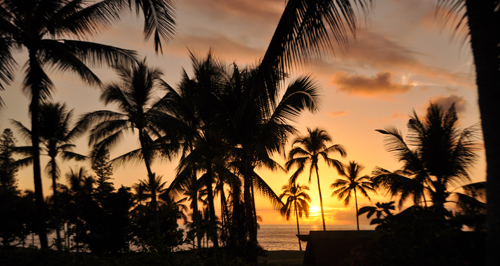 I particularly loved Anaeho'omalu Beach, located in the Waikoloa area. 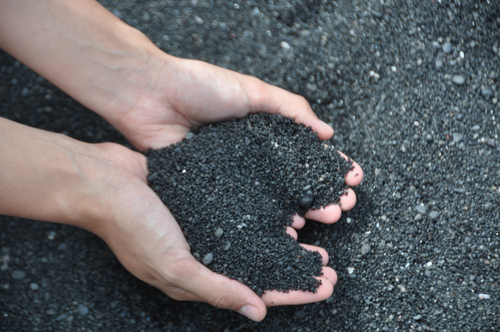 On a different day, we paid a visit to the Punaluu Black Sand Beach since I'd never seen one before. My boyfriend and I visited quite a few snorkeling spots around the Island as well. 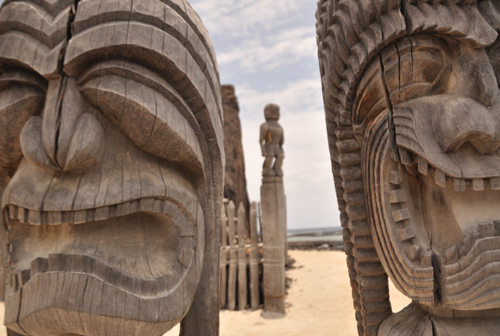 Our favourite was right by Pu'uhonua Honaunau National Historic Park, which was a place of refuge for ancient Hawaiian law-breakers. 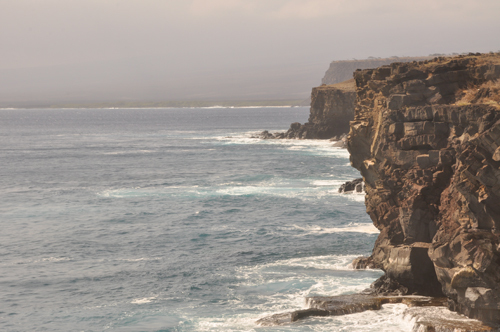 This Big Island is also home to an active volcano, Kīlauea. 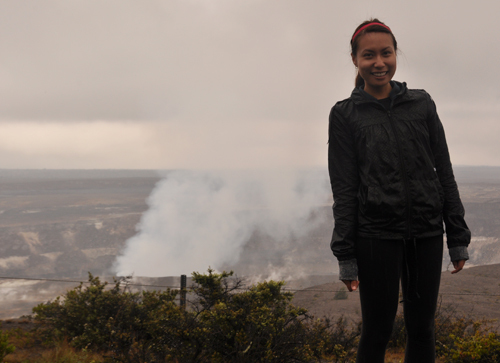 Unfortunately it was raining when we went but it was still cool to see all the steam emanating from the volcano's active centre. 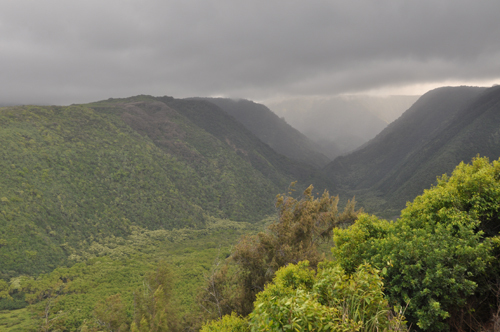 Because of the volcanoes, the Big Island has some very diverse landscapes, from fields of black lava rock to rolling pastures. 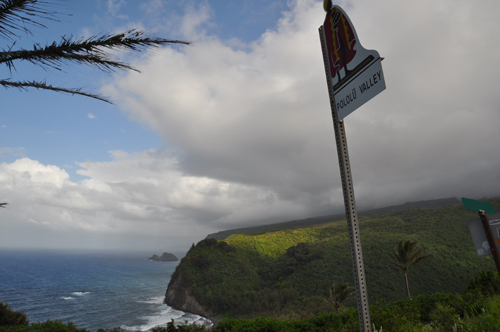 Other parts (like the Pololu Valley Overlook) are covered in lush, green rainforest. 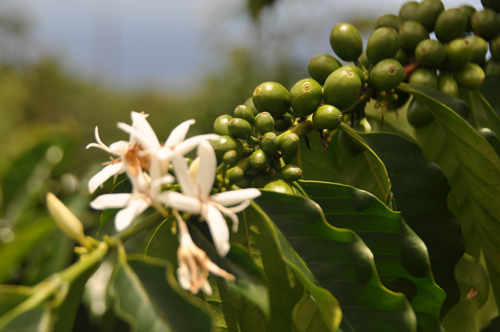 Since Kona Coffee is world-renowned, high on my to-do list was a plantation tour. 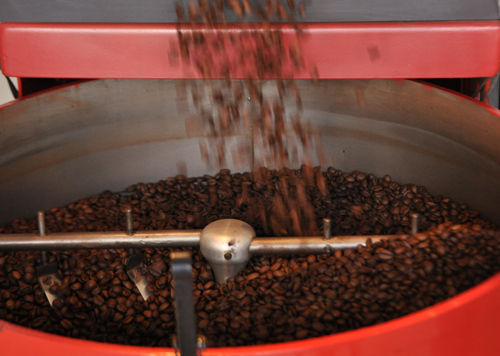 We ended up going to Hula Daddy where we learned all about how coffee is grown, picked, and roasted. And of course, every night we made sure to stop and watch the sunset. 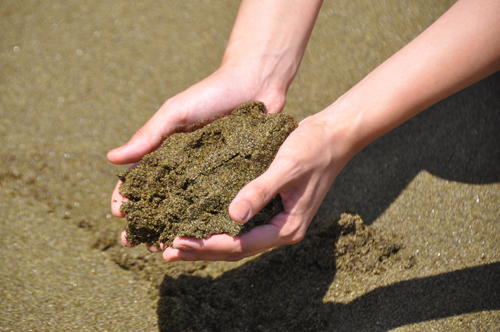 Such a simple activity, but it was one of my absolute favourite things to do. Question of the month from Kristen: "What's your go-to recipe?" Thanks to Pinterest, I've discovered a number of great recipes which have now become part of my regular cooking repertoire. In fact, one of my favourite things to do on lazy days is to scour the site looking for yummy food pins... often ending up hungry in the process! When my boyfriend and I were low-carbing last month, I made these Prosciutto-Wrapped, Boursin Cheese and Bacon-Stuffed Chicken Breasts for dinner a few times. To make the dish less meat-heavy, I often stuff them with asparagus instead of bacon. 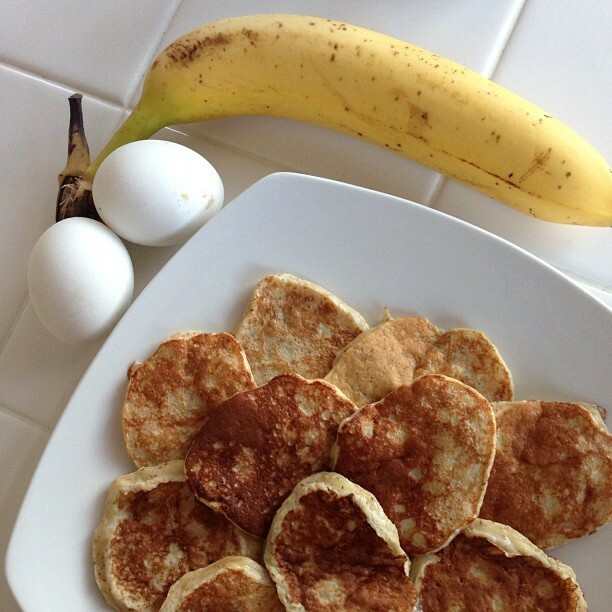 Paleo Pancakes have also become a breakfast staple for me. They are so easy to make and I love the banana flavour. I make mine with 1 banana and 1 egg because I find 2 eggs a little too "eggy." For dessert, this recipe for Easy Vanilla Coconut Rice Pudding has been a great way to use up leftover rice on the rare occasion we eat it (I don't really like rice but rice pudding is a whole other story!) Plus, I love anything made with coconut/coconut milk. Alison*Elle - Alison is giving white denim another go this season. Beautygirl24 - Target did it again - Noelle found the perfect Summer wedges from the Sam & Libby collection. Ella Pretty - Ella's got a brand new bag! Love, Lipstick & Pearls - Kristen is all ready for baby's arrival and shared her nursery with us. Schnelle Couture - Danielle talks makeup and highlights where to save and where to splurge. Sequins and Stilettos - Skylette has finally found her perfect striped skirt! The Currently Obsessed - Mehreen organized Makeup drawers. 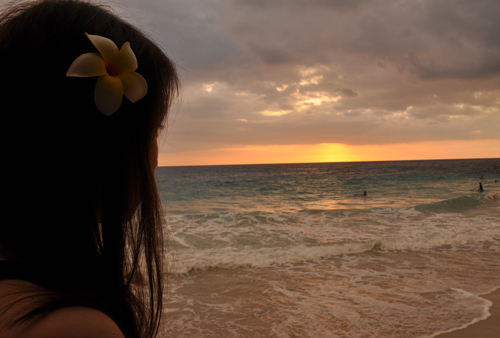 I can't believe it's been a little over a week since I got back from Hawaii... it's starting to feel like forever ago. 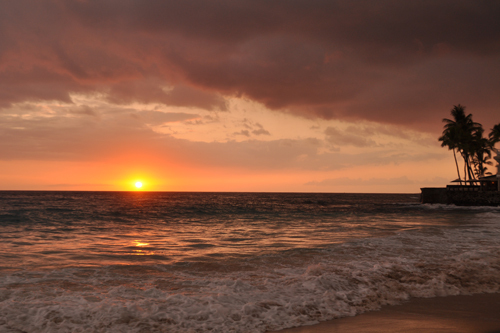 What I wouldn't give to be back on the beach, playing in the ocean, sipping mai tais, and island-exploring right now!